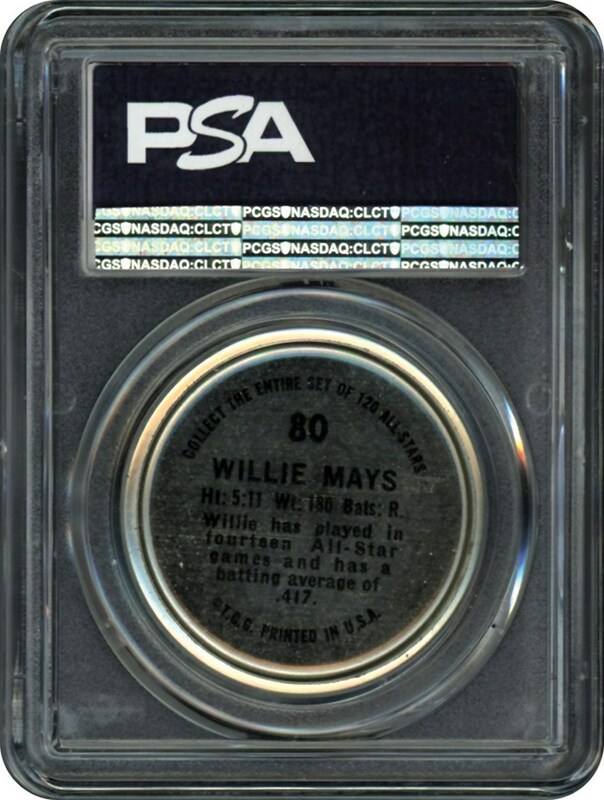 Another insert of Willie Mays in this auction. 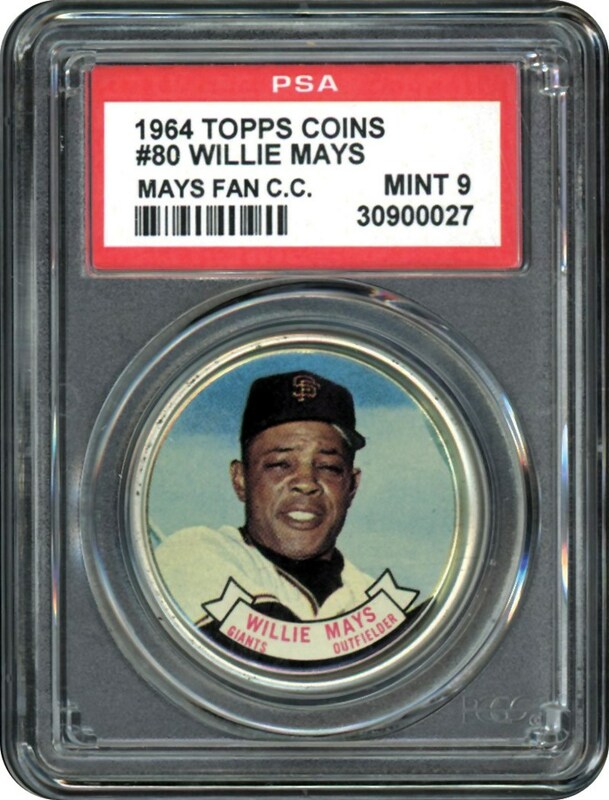 This one is the 1964 Topps Coins #80. Just a single one grading higher than this 9 MINT example.